Can you believe that July is almost over? We're over half way through the year and soon it will be time for school and crisp Autumn nights. Also, take advantage of our July special while it lasts - all Ink Pads are 25% off (discount shows up in your cart). This sale is still good through midnight Wednesday, August 1st. And introducing -- NEW! DOLLAR Stamps! Don't forget our challenges! 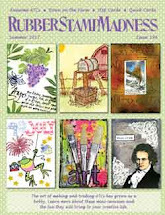 Red Rubber Designs is hosting two challenges this month: Our Third Thursday Just Because Challenge (deadline Thursday, August 2 at Midnight Central time) and our Tutorial Inspiration Challenge (deadline Tuesday, August 7, 2012 at Midnight Central time). You could win a gift certificate to the Red Rubber Designs store just for playing! 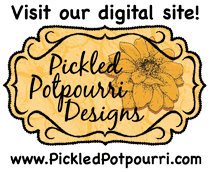 First Thursday is coming this week, when we'll start off the month with a Blog Hop by our fabulous Design Team, celebrating Christmas in August. Join us, right here on our blog for a creative hop and fun game (with another prize)!